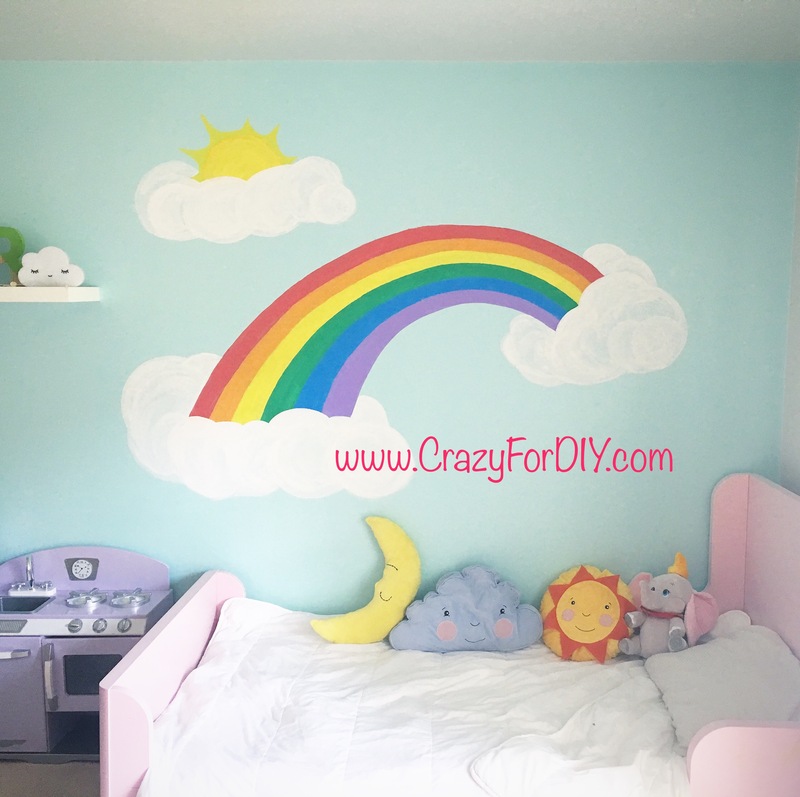 Rainbow Mural – Crazy for D.I.Y. October 11, 2017 September 15, 2018 • Crazy for D.I.Y. This was such a fun impromptu project. 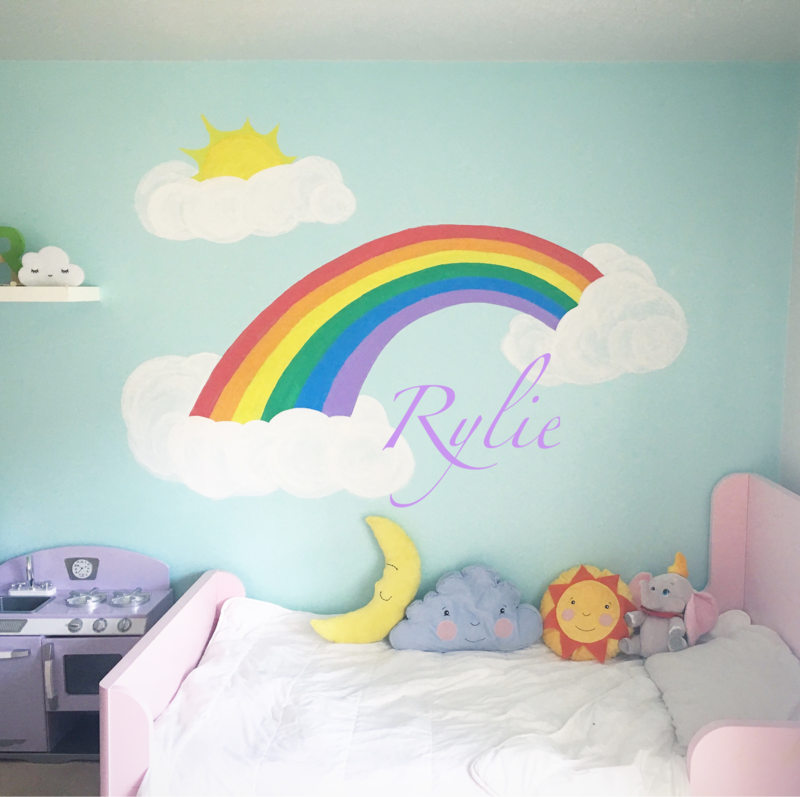 We went on a pay date to our friends house and ended up painting his rainbow mural on her wall. I have never done a mural before but so honored that my friend entrusted me with her daughter’s bedroom wall. 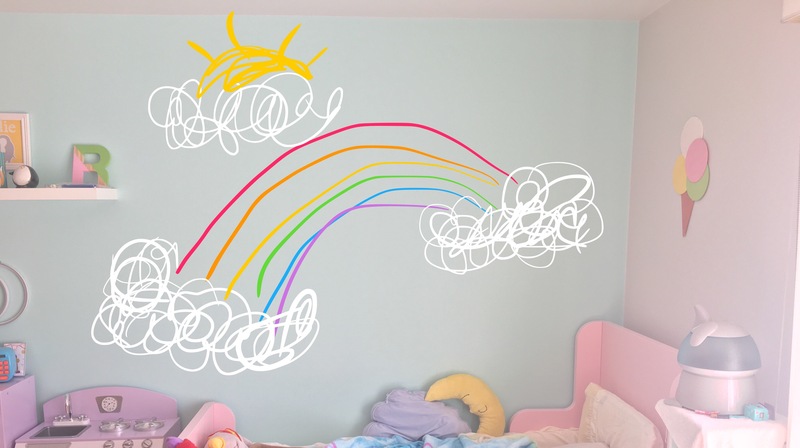 I first took a picture of the blank wall and then used the mark up feature on the iPhone to draw how the rainbow will look. This will help me gauge where to paint which was so I credibly helpful! 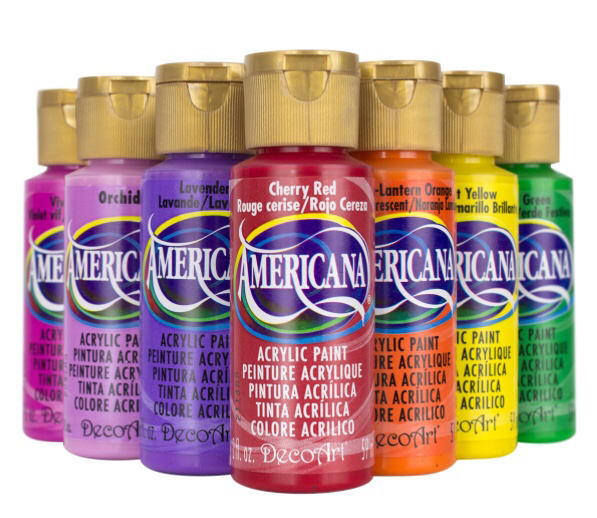 Here are the DecoArt Americana paints I used as well as some white to mix the bright colors into more pastels to match the room. I painted these with medium and large sponge brushes. Bright Red, Bright Orange, Bright Yellow, Festive Green, True Blue and Lavender. Here is the step by step process. Each color of the rainbow I painted I let dry for 15 minutes before printing the next color. Posted in Crafts, PaintingTagged acrylics, decor, diy, mural, painting, rainbowBookmark the permalink. This is such a cute mural! Pingback: Glitter Vinyl and Glow in the Dark Mural DIY – Crazy for D.I.Y.